Johnny Jennings has been saving every penny and scrap of paper so he can help abused and abandoned children – and since he started his endeavor in 1985, he’s raised over $400,000. The 86-year-old earns money by collecting paper, cardboard, and cans for recycling. Over the course of the last 32 years, Jennings has saved 79,000 trees by reselling 9 million pounds of paper. He has also collected $20,000 in pennies, which is equal to about 24 miles of the copper coins. Every dollar that the senior collects, he donates to the Georgia Baptist Home for Children near Ringgold, Georgia. The facility cares for hundreds of children that have been rescued from abusive houses or trafficking rings within the state. Jennings became devoted to the home after he visited the establishment as an 18-year-old. Touched by its sweet, young residents, he decided to try and dedicate the rest of his life to making sure they would have the financial assistance necessary to prosper. 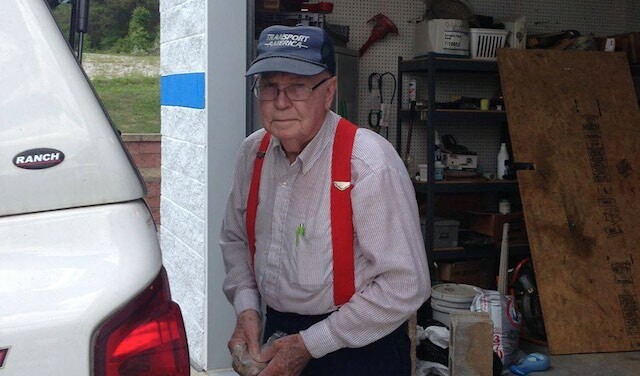 Even though Jennings has suffered two strokes in the last month, he has never failed to make his paper runs around town and deliver the materials to the Chattanooga Recycle Center.